“Florals...for spring? Groundbreaking.” While Meryl Streep’s character in The Devil Wears Prada was completely sarcastic, we can’t help but love adding flowery touches to home decor to welcome the change of seasons. Nothing brightens the day like vivid colors of bouquets and adds life like fresh greenery. While the items below aren’t strictly for Spring decor, we couldn’t help but be giddy upon seeing florals knowing the season is here! This lamp from Grey Street Market is just begging to be on a screen porch or sunroom. The precious yellow flowers and green shade brighten any nook. This yellow bamboo tray table from Found Greenville is the perfect size for a little side table next to any piece of furniture. 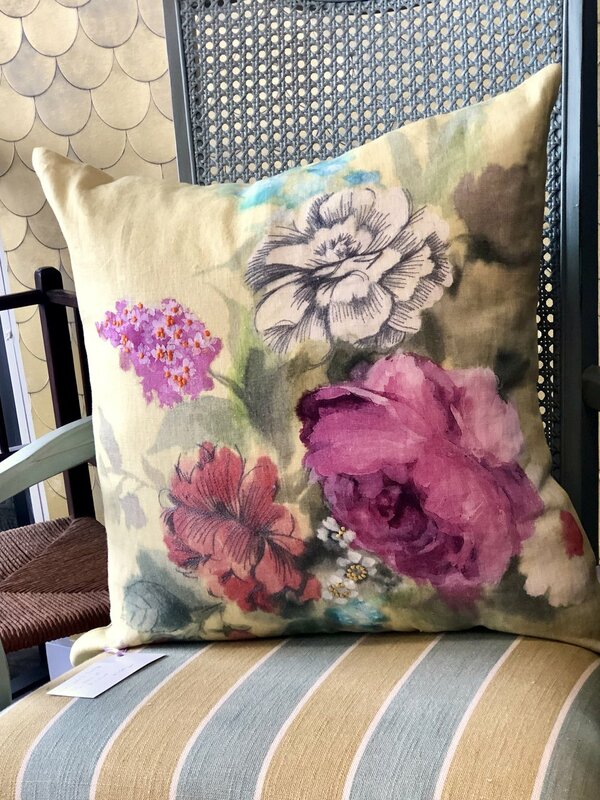 The pinks, greens, yellow, and purples in these Designers Guild pillows from Cottage Grove Vintage easily add color to any piece of furniture. This divided tray with center handle from Fox Hill Vintage makes it easy to transport snacks outside for happy hour. 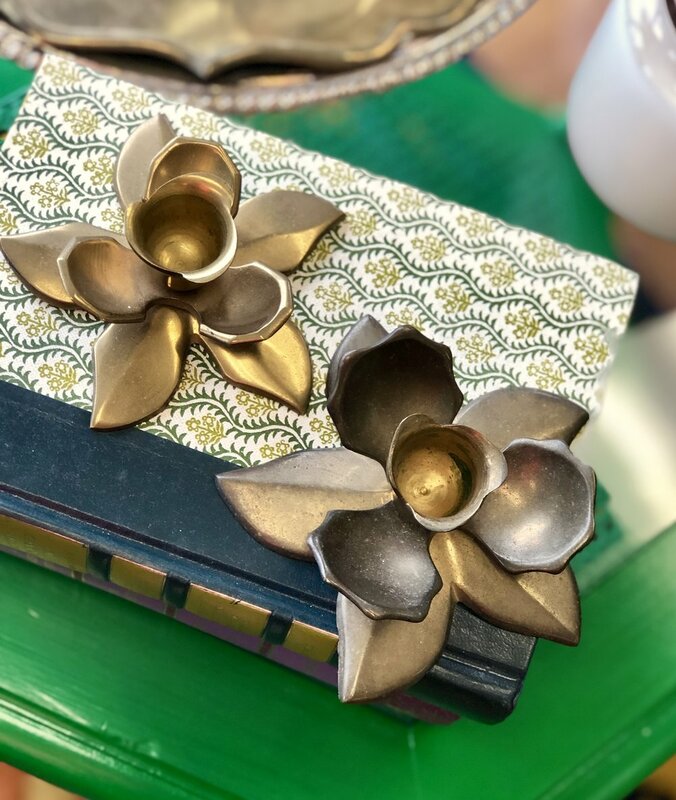 Vintage brass floral candle holders from The Dropped Leaf nod to the season; finish the look with a bright candlestick! No tropical vacation required--escape to warmer climates with the bird of paradise lamp from Found Greenville. For the blue and white lovers, this cute ginger jar from Fox Hill Vintage welcomes spring with trailing flowers surrounding the jar. Don’t forget your walls! Everyone’s favorite flower is the hydrangea and this bright artwork from Fox Hill Vintage doesn’t require watering! Do you love to decorate with florals? Or is this element not “groundbreaking” to you? Whatever your taste, we’d love to help you find fresh items for your home!